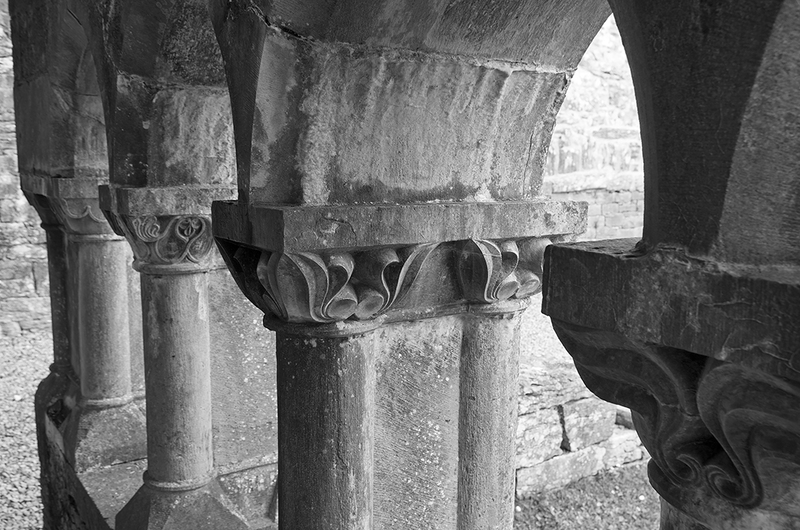 The detail of the walls around the cloister at Cong Abbey caught my eye while visiting there this past summer. 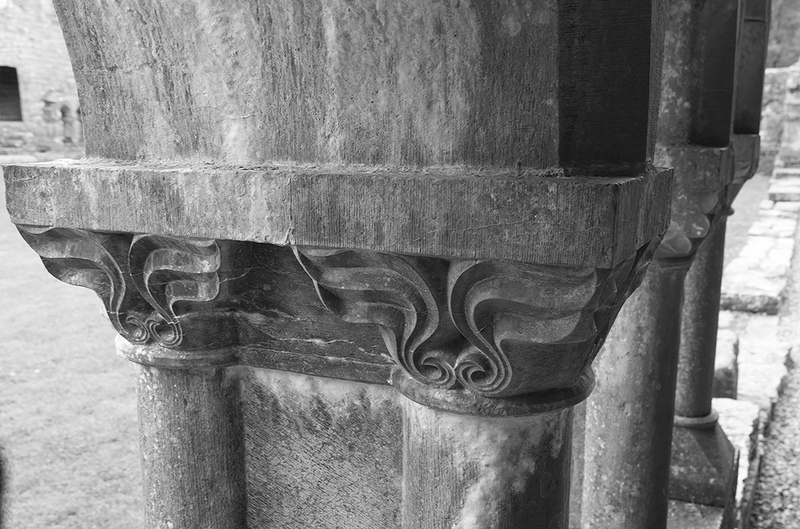 Carved into the stone in the 13th century during reconstruction, the designs are all different. Very nicely done. There is always something about B&W that seems right for this type of project. B&W emphasizes textures .... which is exactly what we want to examine here.